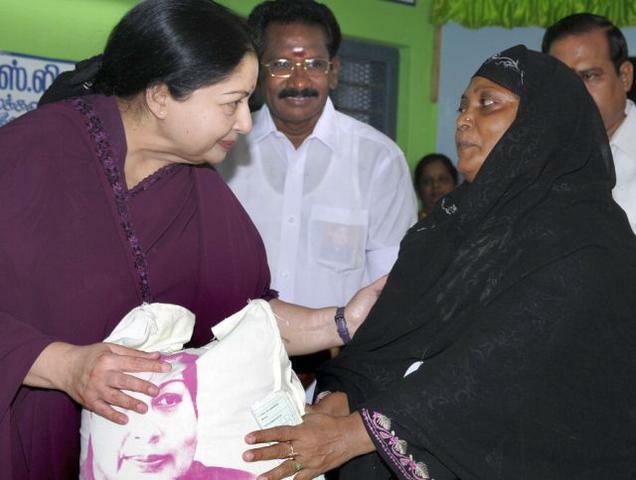 The Jayalalitha government provides 4,500 tonnes of rice to the mosques across Tamil Nadu for distributing gruel during Ramzan (June 19,2015). The rice is provided to about 3,000 mosques in the state through the respective district authorities. Even Muslim countries do not have such schemes and many other hundreds of schemes provided by Indian government for Muslims! The Tamil Nadu government’s scheme for supply of free rice to mosques for preparation of gruel during the fasting month of Ramzan has been lauded by a Pakistani Tv channel, which also wants the government there to adopt the scheme, AIADMK claimed on Thursday. “’SAMAA’, a Pakistan-based television channel has aired a news about Chief Minister Jayalalithaa’s scheme of free rice to make gruel during the holy month of Ramzan and it wanted its government to emulate it,” party’s mouthpiece Dr Namadhu MGR said in its new edition. The newspaper also published a video-grab taken from the channel showing Ms. Jayalalithaa displaying the victory sign, also a marker of her party symbol ‘two-leaves, it said. The article said the channel aired the news based on a news-item by a Pakistani news agency.